Time flies so fast during the weekend especially when you are having fun. After celebrating father’s day on Sunday morning, my husband came home to a surprise belated birthday party which I organized. He was out of town on his birthday so he had no idea of the party. It was fun and I had an empowering ladies gathering too. How was your weekend? 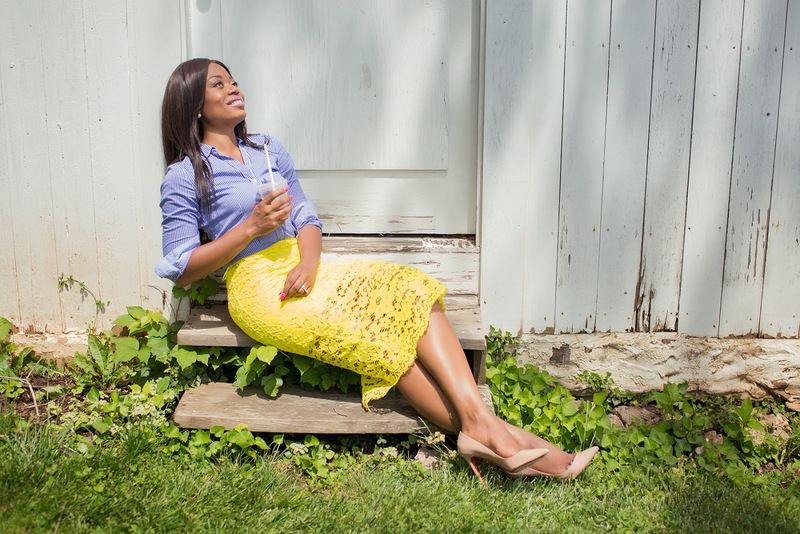 Today's post is a feminine mix with a casual twist. 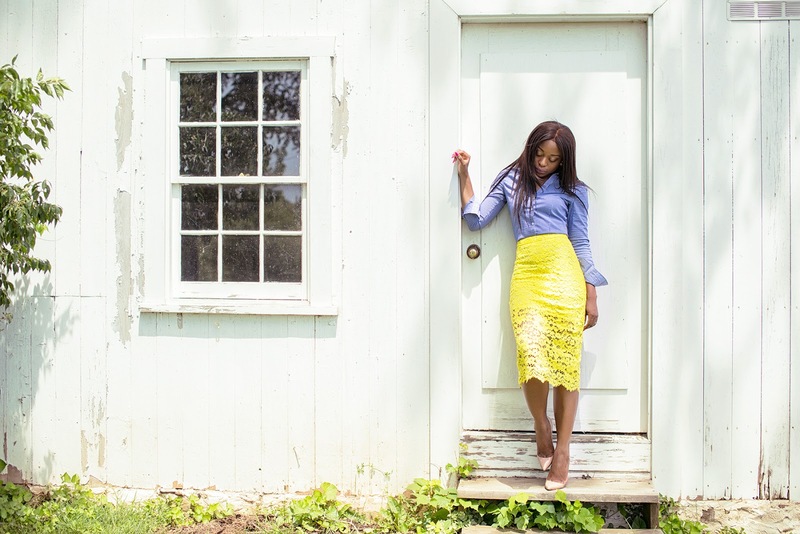 The color of the cord lace skirt is perfect to officially usher-in summer. I paired it with a stripe button-down shirt with slightly cuffed sleeves for a casual feel. Stripe shirts are versatile and they complement several prints and textures. I completed the look with beige pumps for a subtle feel. 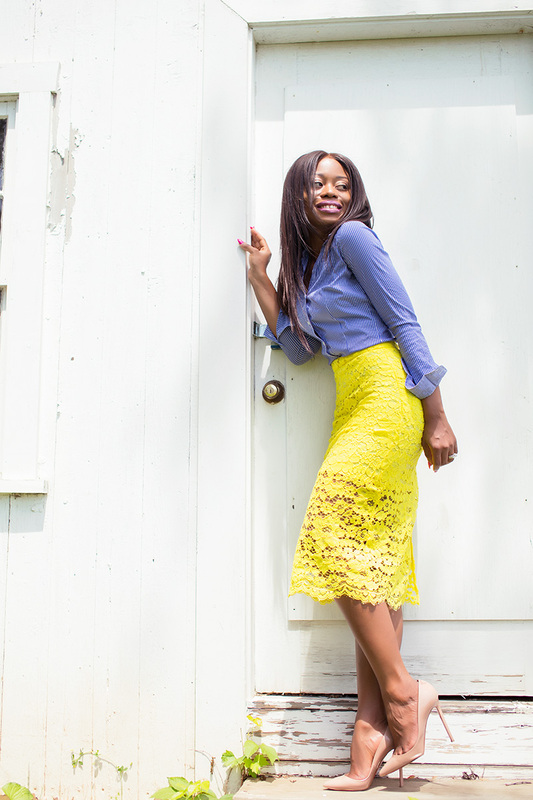 Sunshine yellow + Graceful lace + Pencil skirt = Style Heaven! Stunning look! 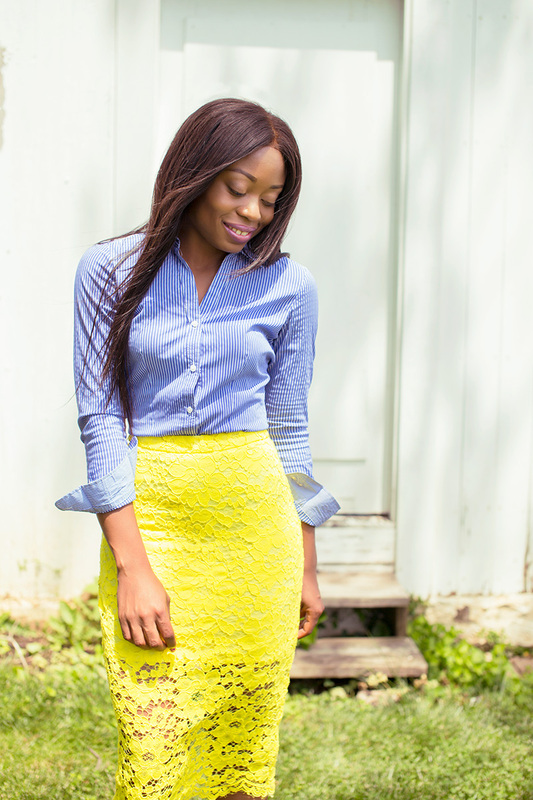 I love the vibrant color and the delicate lace pairing here. Awww happy birthday to the hubby, nice outfit btw. I.Want.That.Skirt. Such wonderful color! You look real nice, Stella. you are so pretty! :) lovin your blog! yellow looks so good on you! I wouldnt think to put denim and lace, but I see it working now.